Developing content for your audience goes far beyond inserting relevant keywords into your website pages. You must understand your audience, and the stages they go through as they interact with your business. Creating content that aligns with your sales funnel will help you close more sales and build positive relationships with your customers. A sales funnel is a marketing model that focuses on the end user. It maps out the journey a customer takes to purchase a product or service. It also goes into detail about how a business leads an audience through this process. Customers respond to each stage of the process in different ways. It is important to understand this and establish protocols to get them to travel from one stage to the next. It is also equally important to know what type of content to provide at each stage of the cycle. At this stage of the process, potential customers are likely researching a problem or need they have. Through this research, they come across your business. At this point, there are things you should focus on, including building brand awareness and gathering prospect information for future interaction. Your content should be both professional and authoritative. It should answer customer questions and offer innovative solutions while building brand awareness. This type of content should also be educational rather than sales-like. 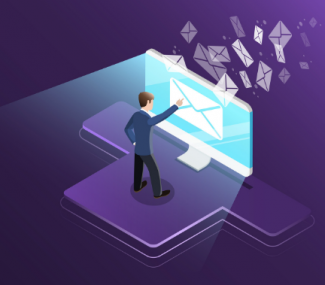 To move your audience to the next stage of the sales funnel, you need their emails to develop a one-on-one interaction with each individual person. Whitepapers and e-books are all types of content that can drive people to share their emails with you because this type of content provides the user with value and gives them an opportunity to increase their knowledge. These offerings must be done in a non-sales-like way and set your business apart from other competitors. 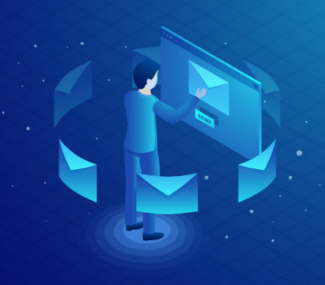 Finding this balance will incentivize your audience to exchange their email address with you and move them to the next stage of the sales funnel. Once a potential customer has moved to the next stage of the sales cycle, the goal must be for them to continue learning about a business’s products and services. This type of content can quickly drive potential customers to the next stage of the cycle. It is important to keep track of the content you have at this stage and how effective it is at moving your audience from this stage to the next. This will help you determine what content to share with customers so they move more quickly through the sales funnel. The customer is now at a point where they are ready to make a purchase, although they may not be sure which company they will make the purchase from. It would be at this point where your sales team—if you have one—jumps in and nurtures this lead. Here it will make a bigger difference to advertise your business rather than your content. Your sales team should effectively communicate with users at this point and address any challenges or concerns they have about your product or services. The goal is to convince customers at this stage that your business is the best choice compared to the competition. Once your customer is at this stage of the sales funnel they are ready to make a purchase. Here, you will offer your customers copy with a clear call to action. Include any promotions, limited time offers and discounts at this stage. Once the sale has been made, you must continue to support your customer with their purchase. This is how you will develop a long-lasting relationship with your customers and create positive awareness for your brand. Bonus Tip: If you have a customer that is particularly happy with their purchase, do not be afraid to ask them for a testimonial or review. This is another way to build brand awareness and credibility and increase the success of your sales funnel. Sales funnels are a way for businesses to better understand how different content affects your audience. Tracking this and determining where each piece of content goes in the cycle can make your marketing much more effective. Doing this will increase your sales and improve the ROI for your business. Test out these ideas and reassess their success over time. Never stop looking for ways to improve your marketing strategy. You can continue to improve the success of your emails by sending targeted campaigns to your list segments. You can also improve your marketing and selling strategy by getting clear on your buyer personas. 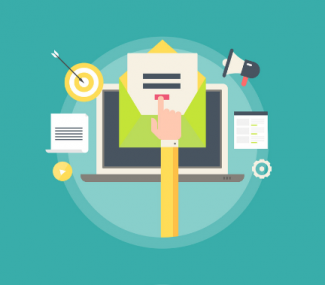 Do you change the format of your emails depending on who the audience is? Find out the answers to this question and more on the FrescoData blog.